Every Bit Delicious as the Name! This strain was originally bred by the Hemp Center and was crossed with OG kush, Durban poison, and cherry kush. The flowering time is about 9-10 weeks with an average to heavy crop yield. 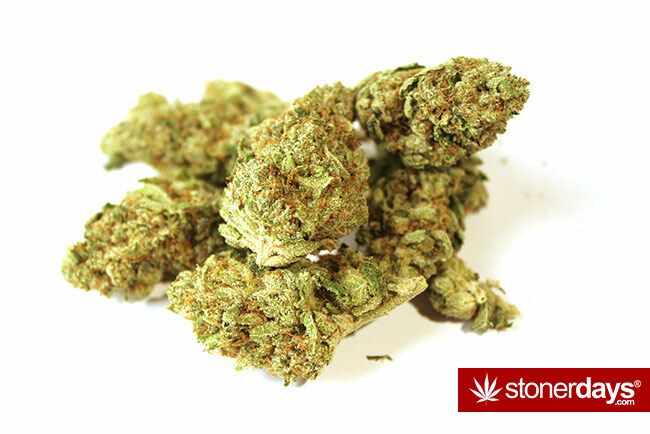 The properties of this strain make it perfect for pain and depression. Girl Scout cookies have become very popular in the San Francisco Bay area, and is considered to be one of the best strains from Northern California. This strain has a beautiful contrast of light and dark shades of green with light orange hairs. The taste is very milky, smooth, and rich, just as Girl Scout cookies are and really doesn’t have a distinct “marijuana” taste.The smell is earthy and pungent with an undeniable sweetness. The high can last for 3 hours and will have you laughing and talking without a care or thought in the world. It’s a multi-dimensional stone that many people describe as unpredictable. These cookies are a perfect if you’ve been in search for something refreshing, euphoric, and tasty.